The last bit of lingering drama in a 14-month-old effort to take the computer company Dell private in a leveraged buyout just came to a close as activist investor Carl Icahn said he would not pursue any further efforts to take control of the company. In a letter to shareholders that crossed the wires just a few minutes ago, Icahn said he continues to oppose the deal proposed by founder and CEO Michael Dell, which will go before shareholders at a special meeting this Thursday. Under that proposal, Dell and the private equity firm Silver Lake will pay about $25 billion to purchase all the outstanding shares of the company. That deal was reached after a prolonged wrangle in which Icahn proposed to recapitalize the company by buying up about 72 percent of shares, paying a special dividend and issuing warrants for the purchase of additional shares in the future. The biggest hurdle to the deal was the original plan to hold a shareholder vote that counted non-votes as votes against the deal. Once Dell and Silver Lake realized that there was sufficient Icahn-inspired opposition to the deal to scotch it, they lobbied a special committee of the board to change the rules so that non-votes would not count as no-votes. After Dell put more money on the table in the form of an additional dividend, the board committee agreed. 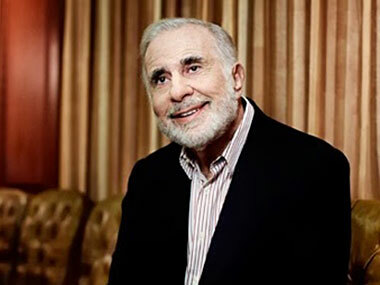 Icahn sued in a court in Delaware, but was turned back by a judge. That doesn’t entirely end the fight. Icahn will still seek his rights under Delaware law to ask a judge to appraise the value of the company, and he has urged other shareholders to join him in doing so. But, so far, his efforts with regard to Dell in the Delaware Chancery Court haven’t borne any fruit. Shareholder votes will be tallied up officially on Thursday morning. Because CEO Michael Dell is not allowed to vote under the terms of the go-shop process, the majority of shareholders needed to approve it is 43 percent. 2. The bid freezes stockholders out of any possibility of realizing Dell’s great potential. Although the board accepted Michael Dell/Silver Lake’s offer in February, it promised stockholders that the Company would hold a meeting at which stockholders could make the final decision as whether or not to accept the transaction. The board recommended that stockholders vote in favor of the proposed transaction because it was Michael Dell/Silver Lake’s “best and final offer”. Icahn and Southeastern argued that stockholders should not give up the huge potential of Dell and therefore should reject the proposed transaction. We won, or at least thought we won, but when the board realized that they lost the vote, they simply ignored the outcome. Even in a dictatorship when the ruling party loses an election, and then ignores its outcome, it attempts to provide a plausible reason to justify their actions. Andrew Bary at Barron’s wisely observed, “In an action worthy of Vladimir Putin, Dell postponed a vote scheduled for last Thursday on Michael Dell’s proposed buyout of the company when it became apparent that there was insufficient shareholder support for the deal.” But the Dell board felt they needed no excuse when they changed the voting standard and changed the record date of those eligible to vote, which allowed arbitrageurs to vote a much greater percentage of the stock when the polls reopen and scheduled the annual meeting for October. The board simply relied on the usual “business judgment” catchall and Delaware law to uphold their actions. We jokingly ask, “What’s the difference between Dell and a dictatorship?” The answer: Most functioning dictatorships only need to postpone the vote once to win. As a result of 1) the change in the record date allowing new stockholders to vote on the proposed Michael Dell/Silver Lake transaction on September 12th, 2) Chancellor Strine’s ruling that a gap period between the September 12th meeting and the annual meeting was legal under Delaware law and 3) the raise in the bid by Michael Dell/Silver Lake, we have determined that it would be almost impossible to win the battle on September 12th. We have therefore come to the conclusion that we will not pursue additional efforts to defeat the Michael Dell/Silver Lake proposal, although we still oppose it and will move to seek appraisal rights. I realize that some stockholders will be disappointed that we do not fight on. However, over the last decade, mainly through “activism” we have enhanced stockholder value in many companies by billions of dollars. We did not accomplish this by waging battles that we thought we would lose. Michael Dell/Silver Lake waged a hard fought battle and according to Chancellor Strine, the actions by Dell were within the Delaware law. We therefore congratulate Michael Dell and I intend to call him to wish him good luck (he may need it). While we of course are saddened at our losing the battle to control Dell, it certainly makes the loss a lot more tolerable in that as a result of our involvement, Michael Dell/Silver Lake increased what they said was their “best and final offer”. As a result of this increase all stockholders are to receive many hundreds of millions of dollars more than the board originally accepted. We will never know how much more stockholders might have received if the board had allowed the annual meeting to proceed at the same time as the rescheduled special meeting which we believe would have put pressure on Michael Dell/Silver Lake to increase their bid. The Dell board, like so many boards in this country, reminds me of Clark Gable’s last words in “Gone with the Wind,” they simply “don’t give a damn.” If you are incensed by the actions of the Dell Board as much as I am, I hope you will choose to follow me on Twitter where from time to time I give my investment insights. I also intend to point out what I consider to be unconscionable actions by boards and discuss what remedies shareholders may take to change the situation. I wish to take this opportunity to thank all Dell shareholders who supported Southeastern and Icahn.